GREENSBORO, N.C., Oct. 24, 2017 /PRNewswire/ -- F.N.B. Corporation (NYSE: FNB) today announced the appointment of David R. Edwards, Jr., as Regional President for the Piedmont Triad Region. In his new role, Edwards is directly responsible for the management and supervision of the Corporate Banking teams in FNB's Piedmont Triad Region. As Regional President, he will expand his current territory which includes Boone, Elkin, Statesville, Salisbury and Wilkesboro to include the Winston-Salem, Greensboro and High Point markets in North Carolina. Edwards also oversees the regional integration of FNB's cross-functional business model, which encourages collaboration between business units for a seamless client experience. Edwards has more than 22 years of banking experience serving business clients in the greater Piedmont Triad area, most recently as Regional Commercial Manager for FNB and including 13 years with Yadkin Bank and its predecessors as a Regional President. FNB completed its merger with Yadkin in March 2017. "We are confident that Edwards' extensive experience and knowledge of the local markets put him in an excellent position to add value for FNB's clients and communities," said Steven W. Jones, FNB's Chief Banking Officer for North and South Carolina. 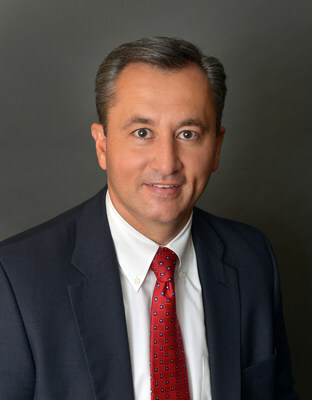 A native of the Piedmont Triad area, Edwards is actively engaged in the local community, previously serving as the Treasurer of the Yadkin Valley Chamber of Commerce, Secretary and Treasurer of the High Country Business Network and is a volunteer teacher with Junior Achievement of Glen, North Carolina. He is also a member of the board of the Wilkes YMCA, for which he was honored as the 2015 Volunteer of the Year. Edwards earned his bachelor's degree and Masters of Business Administration from Appalachian State University in Boone, North Carolina, and is a graduate of the North Carolina School of Banking at the University of North Carolina at Chapel Hill.